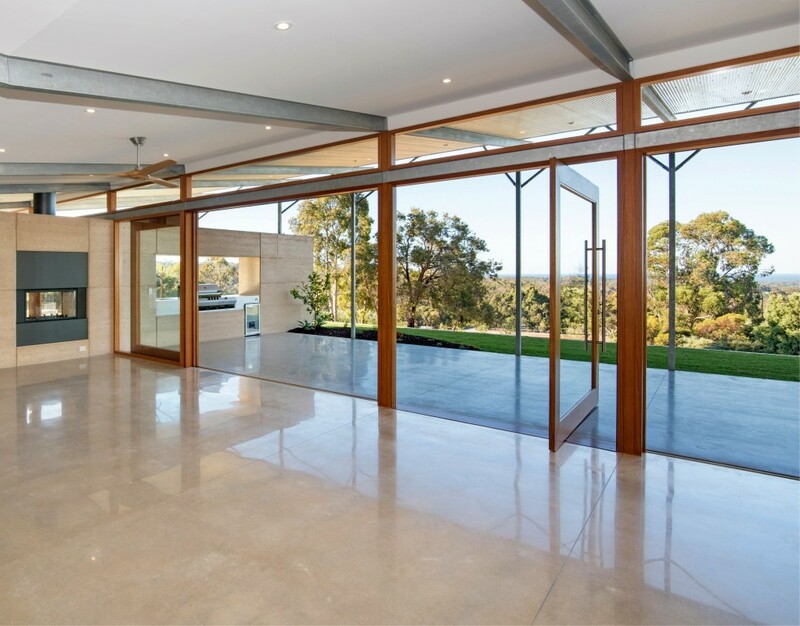 This unique, contemporary residence has been finished with incredible attention to detail. 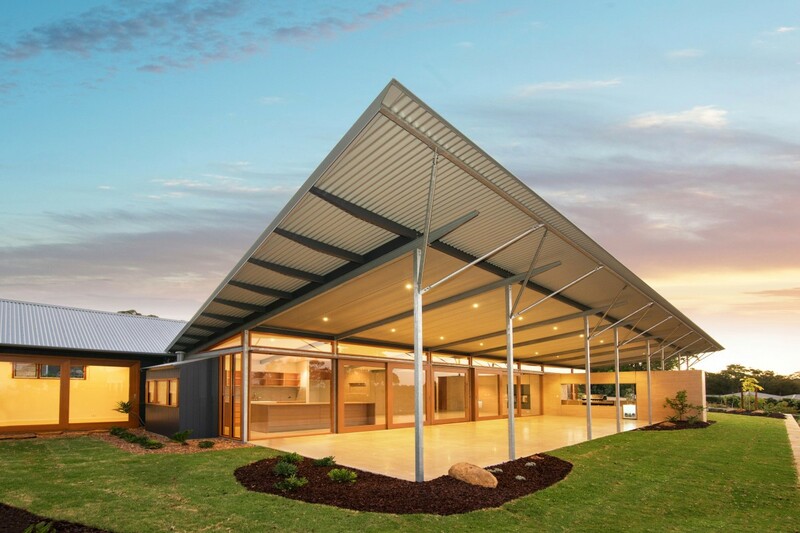 Situated in a semi-rural location, the home combines elements of the land, such as rammed earth and beautiful timber, with industrial materials such as exposed steel and polished concrete. The home enjoys stunning views across the treed landscape towards the ocean. 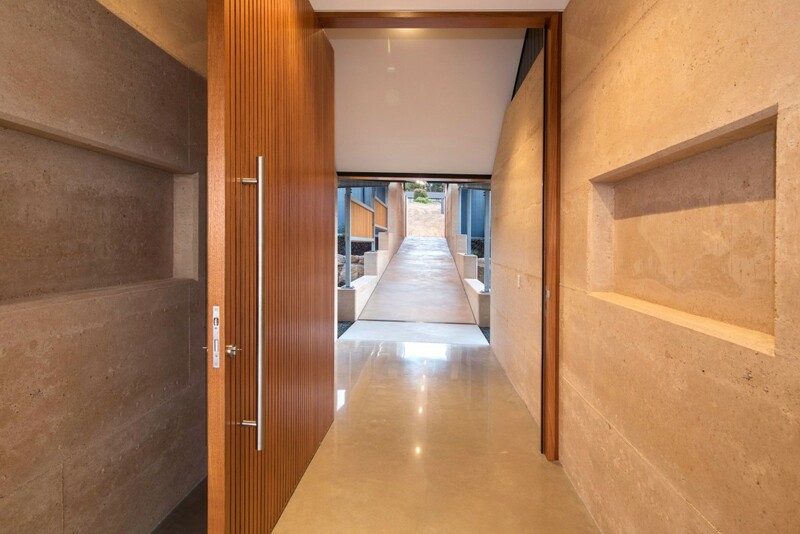 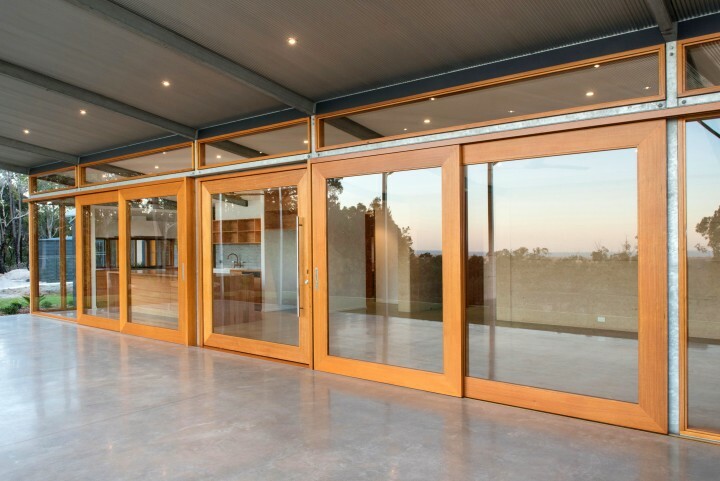 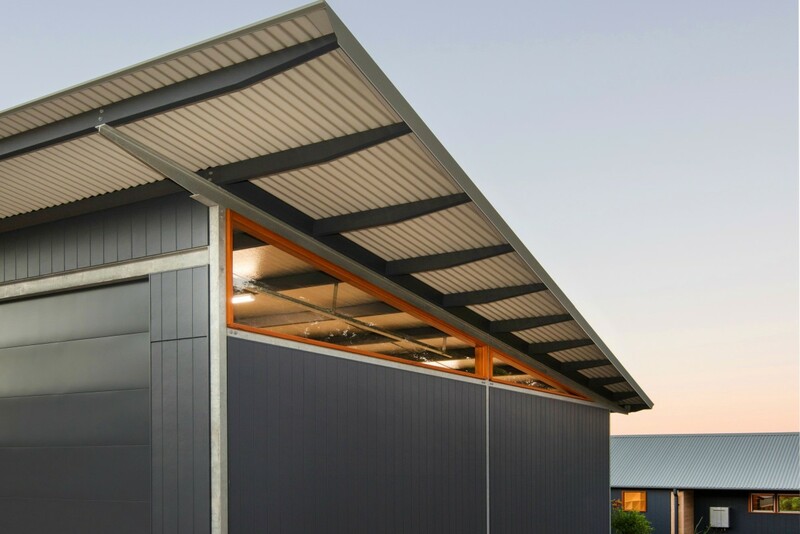 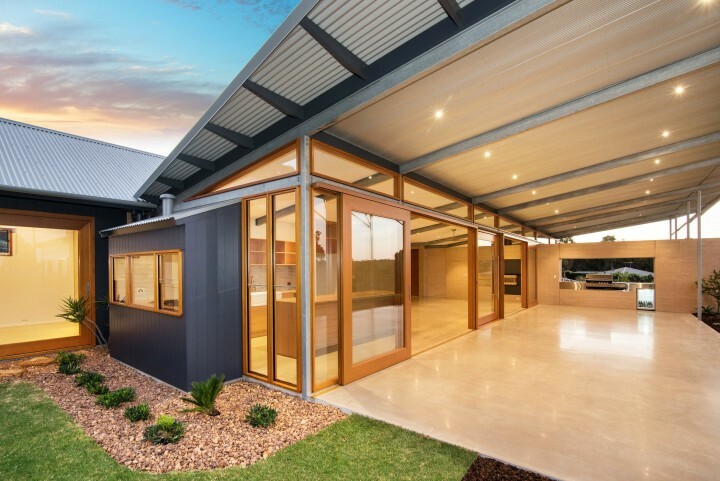 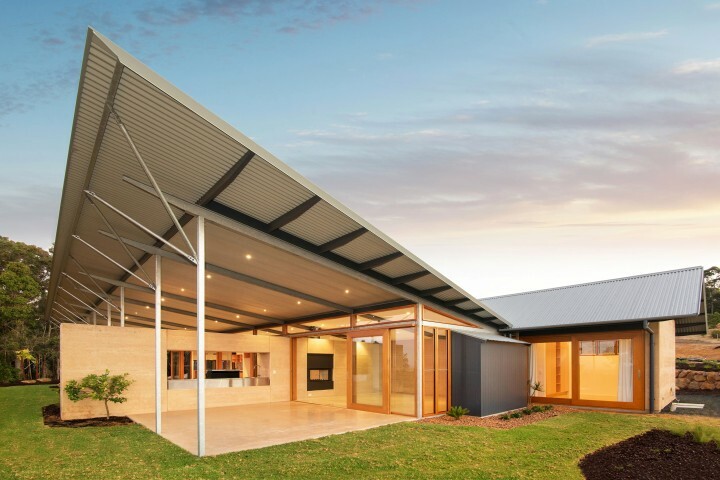 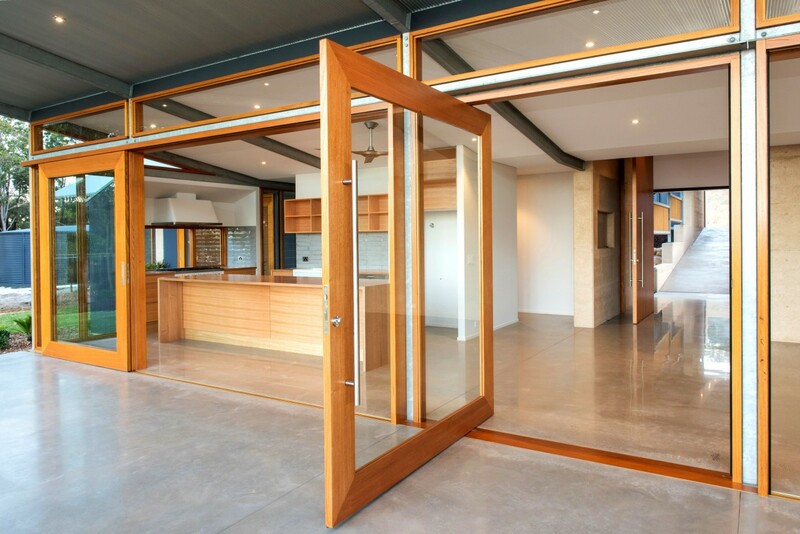 To take advantage of the vista, the project incorporates large timber stacking and pivot doors with flush thresholds, which connect the indoor and outdoor areas. 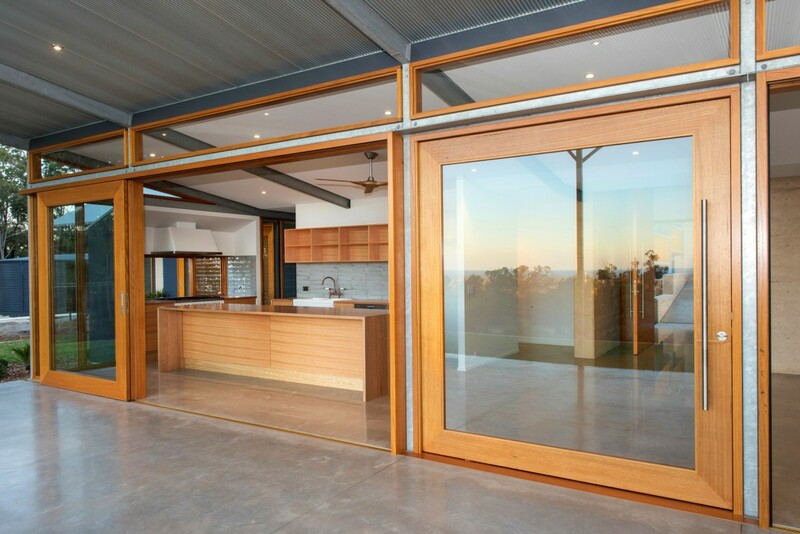 Sashless windows have also been included to maximise the views. 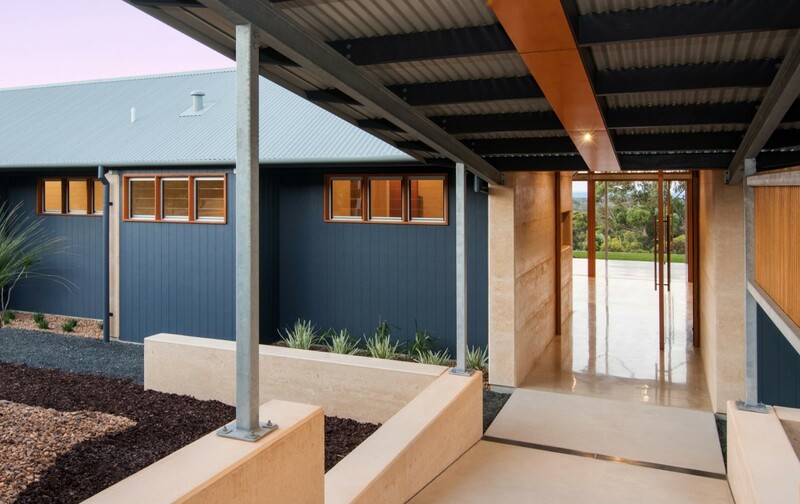 The home was designed by Troppo Architects and built by LAT 34 Long 114 Constructions, with solid timber doors and windows by Cedar West.